Boerne Air Conditioning Experts is your reliable local source for AC replacement and repair in Cordillera Ranch and the surrounding communities. After years of experience, we’ve seen that it can often be difficult for our customers to determine whether their AC units are simply in need of repairs, or if they’re in need of a full AC replacement. We understand it can be a tough decision to make, partly because there’s no cut and dried answer. You might be able to get your older unit to last another couple of years by fixing it, but you may end up sinking a lot of money into a unit that’s on its last legs. If you buy a newer air conditioner replacement that’s more energy efficient, you’ll lower your electric bill, but the upfront cost can be a significant chunk of change. So, how can you decide whether to repair or replace your troubled air conditioner? Consider these factors before making your final decision. First, think about the age of your unit. Most AC units are designed to last about 15 to 20 years under optimal conditions. 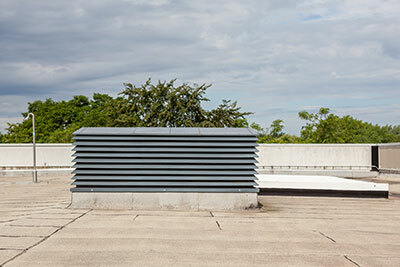 Depending on your area, poor air quality can also take its toll and reduce that typical lifespan considerably. Another factor to consider is what’s broken. Some problems, even though they may seem serious, are actually easy and relatively inexpensive to fix. Electrical issues often fall into this category. But if the compressor goes bad, especially on an older unit, it’s usually time to replace. The compressor is the heart of the system, and the investment to fix it is often not worth the money. Many times compressor failure is caused by a secondary issue that won’t be discovered until after you replace it. Other issues, such as refrigerant leaks, can go either way. One small leak might be an easy fix, but finding the source of multiple leaks on an older system with a lot of corrosion on the coils can be time consuming and expensive—and ineffective, since more leaks will continue to develop. In this case, replacement is likely to be the wiser option. You should also think about how your AC unit has performed the past few years. Has this unit been running reliably for years? If this is the first time it’s had a service issue, and the parts are in good shape, there’s a good chance it’s worth fixing. On the other hand, if it’s had a history of breakdowns and poor performance (like inconsistent cooling or humidity problems) then even if you fix it, you’re likely to keep experiencing problems. Additionally, if your unit has been regularly serviced and cleaned according to the manufacturer’s recommendations since it was installed, the air conditioner is probably in good shape even if it’s more than 10 years old. If maintenance has been neglected, it’s more likely to keep failing, and you’re better off with an air conditioner replacement. If you’re in a repair-vs-air conditioner replacement situation, be sure to consult with one of our specialists at Boerne Air Conditioning Experts. Our team handles both repairs and new installations, and we’d be happy to help you weigh the pros and cons between both these options.